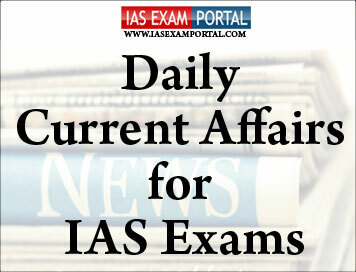 Current Affairs for IAS Exams - 10 August 2018 | IAS EXAM PORTAL - India's Largest Community for UPSC Exam Aspirants. “To utilise territoriality as a basis of exclusion is problematic because it ignores history and the contributions made by such associations to the development of cricket and its popularity,” Justice D.Y. Chandrachud, who wrote the judgment, reasoned. The court supported the recommendation of the Lodha panel that cricket administrators should undergo a “cooling-off period” before contesting elections to BCCI or State associations. But the Bench struck a balance. Justice Lodha had suggested that the cooling-off period should kick in for a cricket administrator after his every tenure of three years in office. Instead, the court said an administrator needs to “cool-off” only after two consecutive terms of six years in office, whether in BCCI or a State association or a combination of both. Having procured an all-time high amount of pulses from farmers over the past two years, the Centre has now decided to offload stock from its overflowing warehouses by selling it to States for use in welfare schemes at a discount of Rs. 15 per kg over the wholesale rate. The Cabinet Committee on Economic Affairs approved the plan to sell almost 35 lakh tonnes of tur, channa, masoor, moong and urad dal. The scheme is likely to cost the exchequer Rs. 5, 237 crore, according to an official statement. Farmers have seen record harvests of pulses in the past two years, resulting in a sharp drop in prices. With the government making market interventions to protect farmers’ interests, price support schemes have been widespread in many States. This has led to a record procurement of 45.43 lakh tonnes of pulses. In order to clear space for the procurement this season, the Centre has decided to offer 34.88 lakh tonnes of pulses to the States for use in ration shops under the public distribution system or in welfare schemes such as mid-day meals or the Integrated Child Development Programme. This will be a one-time dispensation for a period of 12 months or till the stock runs out. India’s rank on the Global Innovation Index (GII) has improved from 60 in 2017 to 57 in 2018. India has been consistently climbing the GII ranking for the past two years. He further said that GII 2018 report served another purpose. It provided an opportunity to look at examples from similar economies from across the world and understand how they effected change in their countries. Former Chairman, Atomic Energy Commission, Dr Anil Kakodkar, who is author of the India chapter in the report said that “we must devise strategies to address our energy deficit, to ensure sustainable domestic energy supply”. He emphasized the need to look for innovative ways to tackle the country's energy problems. SEBI panel recommends power to tap phone calls. A committee set up by the Securities and Exchange Board of India (SEBI) has recommended giving the capital market watchdog direct powers to intercept phone calls for better investigation while strengthening the regulations to act against perpetrators of financial statements fraud. The committee has recommended that SEBI may seek direct power to intercept calls to aid in investigation, akin to the power granted to the Central Board of Direct Taxes. However, proper checks and balances must be ensured for use of the power,” stated the report by the Committee on Fair Market Conduct formed under the chairmanship of former law secretary T.K. Viswanathan. Currently, the regulator has powers to seek call data records as part of its probes, but the committee is of the view that the regulator needs more powers to assist in its regulatory responsibilities. The panel is in favour of including a new sub-section within the SEBI Act to prohibit schemes or artifices to manipulate the books of accounts and financial statements or to hide diversion, misutilisation or siphoning of public issue proceeds. The panel has proposed broadening the ambit of manipulative and unfair trade practices, stating that listed firms should have policies to deal with leaks of unpublished price sensitive information. Venezuela’s crude shipments to India, its third largest export market after the U.S. and China, fell 21% in the first six months of the year, but the country’s Ambassador in Delhi has said plans are on to boost production at home and that oil trade with India will continue unabated despite U.S. sanctions. Venezuela shipped 2,80,000 barrels per day (bpd) of heavy crude to India in the first half of the year, down from 3,55,500 bpd shipped in the corresponding period of last year, which cited trade documents of PDVSA, Venezuela’s state-run oil company. Regarding the economic crisis and hyper inflation, Mr.Montiel said Venezuela’s new cryptocurrency, Petro, will start circulating from August 20. Petro is pegged to the international price of oil. “The aggression against countries like Venezuela and Iran by the U.S. is hurting India as well. Multilateralism is in threat because of these sanctions,” said the Ambassador. The Union Cabinet chaired by Prime Minister ShriNarendraModi has approved the signing the Memorandum of Understanding (MoU) between India and Indonesia on health cooperation. A Working Group will be set up to further elaborate the details of cooperation and to oversee the implementation of this MoU. Mapping and inventorying of Kharif rice area in Jharkhand is carried out by Mahalanobis National Crop Forecasting Centre (MNCFC), Ministry of Agriculture and Farmers’ Welfare, using ISRO developed methodology. One of the objectives of Bringing Green Revolution to Eastern India (BGREI) scheme is to promote cultivation in post Kharif-rice fallow areas to increase cropping intensity and income of farmers. These are mostly located in the southern districts of the state. About 25-30% of these post kharif rice fallow lands are found to be suitable for cultivation of short duration pulse crops during post kharif season. The analysis findings are being provided to the local Government/ Department with locations/ maps where farmers can optimise or maximise the utilisation of resources by taking up another or additional crop during the post kharif fallow period. Astronomers have used an Indian telescope to discover the most distant radio galaxy ever known, located at a distance of 12 billion light-years. The galaxy, from a time when the universe was only 7% of its current age was found using the Giant Metrewave Radio Telescope (GMRT) in Pune.The distance to this galaxy was determined using the Gemini North telescope in Hawaii and the Large Binocular Telescope in Arizona. The galaxy is perceived as it looked when the universe was only a billion years old, according to the study appearing in the journal Monthly Notices of the Royal Astronomical Society . This also means that the light from this galaxy is almost 12 billion years old. Radio galaxies are very rare objects in the universe. They are colossal galaxies with a supermassive black hole in their centre that actively accretes gas and dust from its surroundings. This activity initiates the launch of high-energy jet streams, which are capable of accelerating charged particles around the supermassive black hole to almost the speed of light. Committee of Administrators (CoA) chief VinodRai, reacting to the Supreme Court decision on the Lodha reforms, said it was a ‘very positive verdict’. Rai also pointed out that one of the most important aspects of the order is the fact that the State associations will have to fall in line now. “The ISL will begin on September 29 and the I-League around October 15,” informed Kushal Das, general secretary, All India Football Federation (AIFF). The Indian team will travel to China to play a friendly in October while another friendly (most likely against Saudi Arabia or Syria) will be played in November (between 12 and 20). We will have a break of four to five days then,” he said.